Summer gets a lot of attention, but those of us who live in Boston know that fall is when the city really shines. The cool, crisp weather is perfect for long runs, bike rides, and hiking. But maybe you’ve already tackled many of the area’s best trails and are seeking a new challenge. 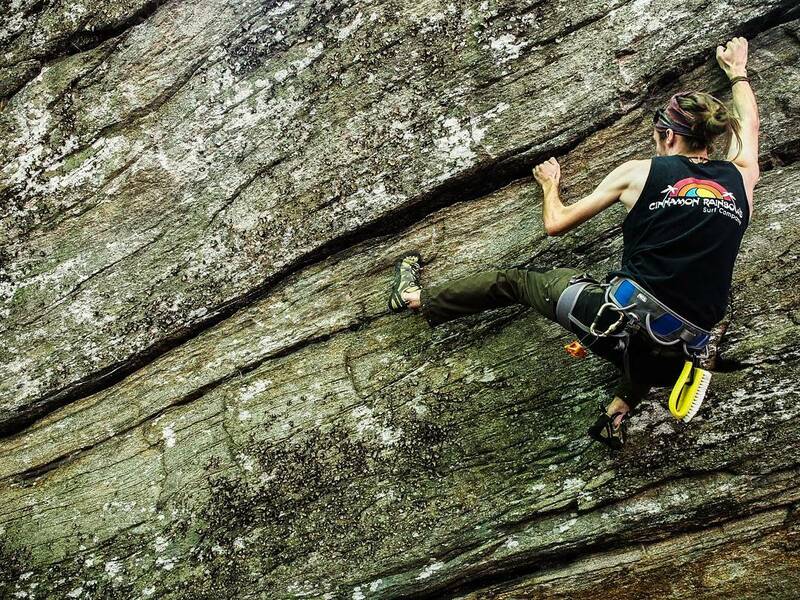 Look no further than the sport of rock climbing. 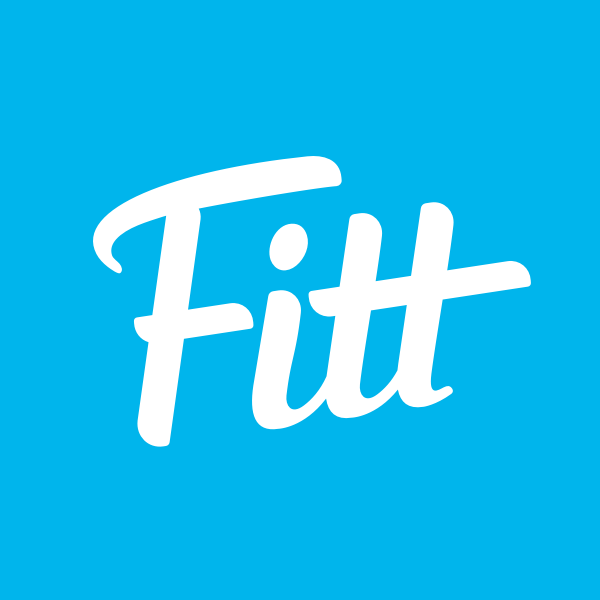 It’ll get you outdoors, give you a great workout, and it’s super fun. 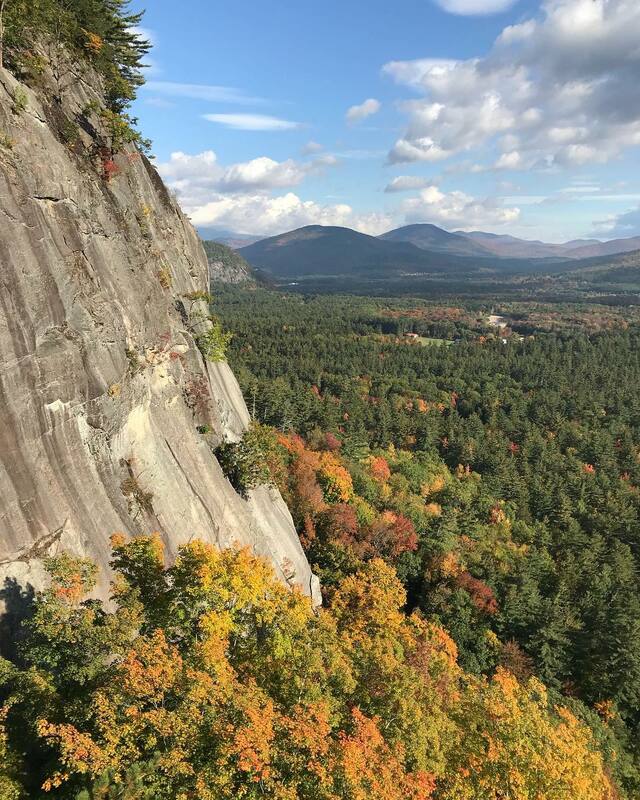 You’ll probably want to start off indoors, but when you’re ready to take it outside, try one of the nine of the most beautiful rock climbing spots near Boston. Outdoor lovers who live in Boston know that Blue Hills has some of the best hiking in the area. It’s also home to some great rock climbing spots, most notably Rattlesnake Rocks, a solid top-roping destination. Rattlesnake Rocks isn’t far from Quincy Quarries, but because you have to hike a half-mile or so to reach it, it’s less popular. 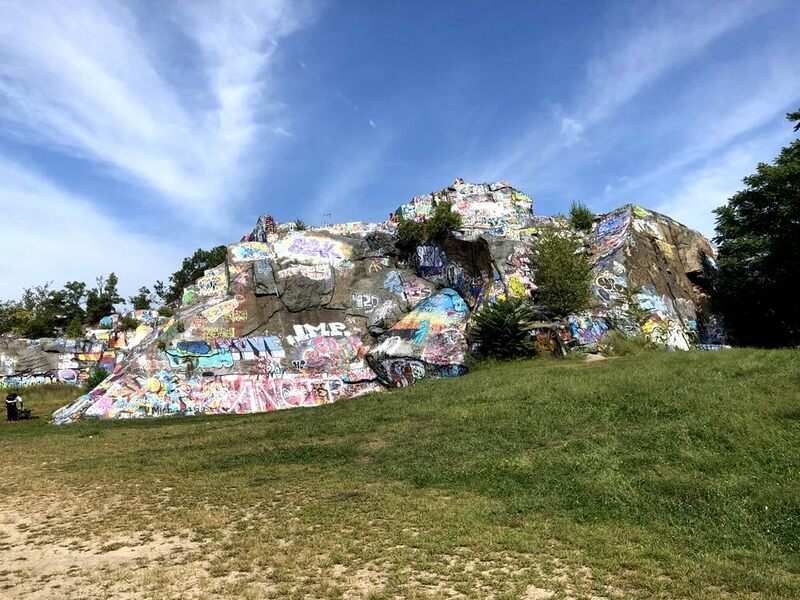 If you’re looking to avoid crowds, this is the spot for you…and not just because there are actual rattlesnakes in the Blue Hills. Don’t worry, the chances of you seeing one are about as high as someone from Boston becoming a Yankees fan. 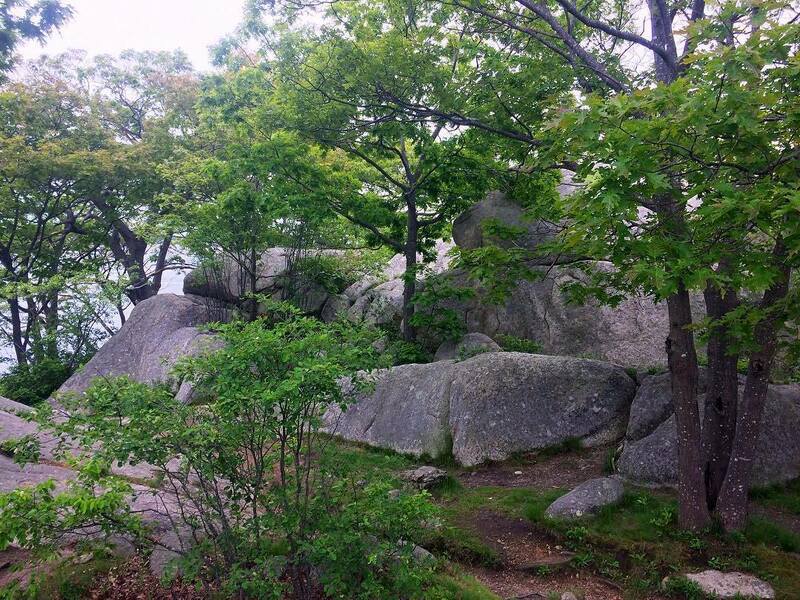 The Middlesex Fells is a top hiking and trail running destination just north of the city. And it’s also home to some terrific rock climbing. Black and White Rocks are a collection of six or seven rocks that reside in the Melrose section of the Fells. Fresh out of the gym? Black and White Rocks are considered beginner bouldering or top-rope areas and the routes are rarely crowded. Bring your hiking shoes and a PB&J to make a day of it. 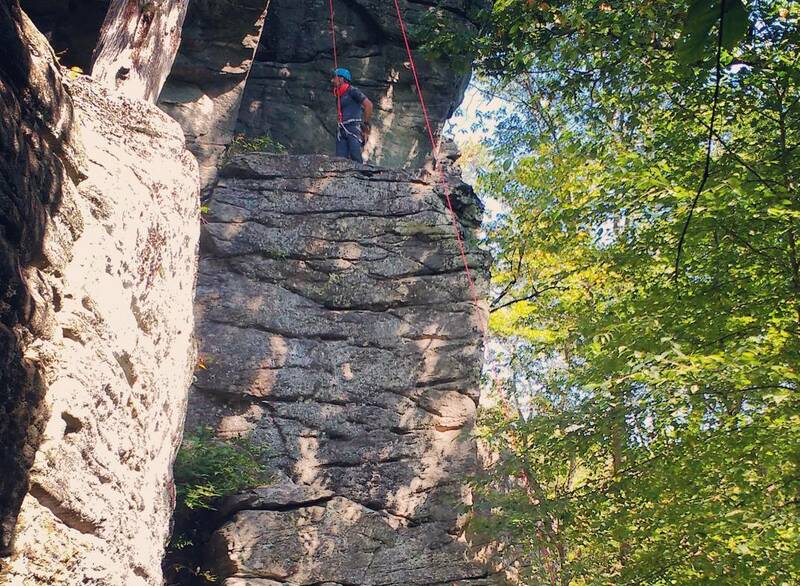 Most of the other outdoor rock climbing spots on this list are prime top-roping destinations. But at Lynn Woods, you’ll find the best bouldering near Boston. 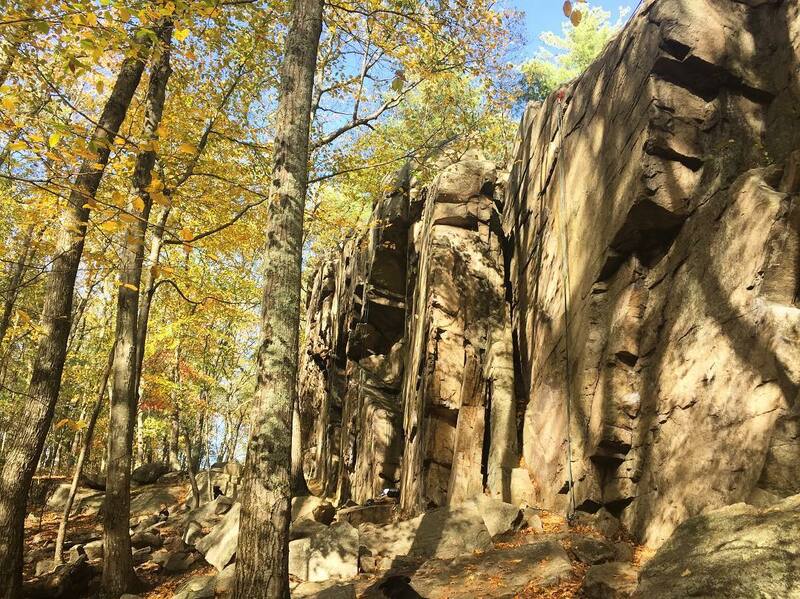 Located only 10 miles north of the city, this hidden gem is a mecca for Bostonians who love untethered climbing. Lynn Woods is the second-largest city park in the U.S., so it’s straight-up massive. Plus, many of its boulders have yet to be tackled, so you can try your hand at a whole new problem and maybe they’ll name it after you! Hopkinton is best known for being home to the starting line of the Boston Marathon. But it’s also home to one of the best outdoor rock climbing spots in the area. The 200-foot-long, 35-foot-tall College Rock is trickier than it looks, so completing the crag is super satisfying. This is a popular top-roping destination, though there are some boulders nearby that are worth a climb. Rock climbing and the beach don’t seem to be natural mates. But at Stage Fort Park in Gloucester, there are two stellar climbing spots right near the water. So head to Cape Ann to tackle these technical routes. One is a large, slabby granite boulder with a sandy base that’s about 30 feet tall. The other is a smaller buttress that’s right nearby. Bring your suit for a dip in the water when you’re back on solid ground. Climbing Crow Hill requires an hour-long drive, but it’s worth the trip. 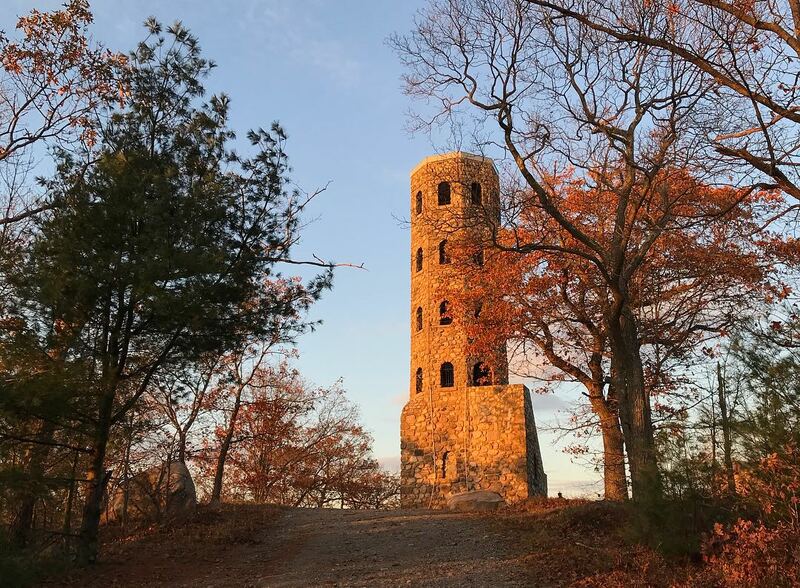 Crow Hill lives in Leominster State Forest, so you’ll be treated to beautiful views while you’re tackling the crag’s challenges. 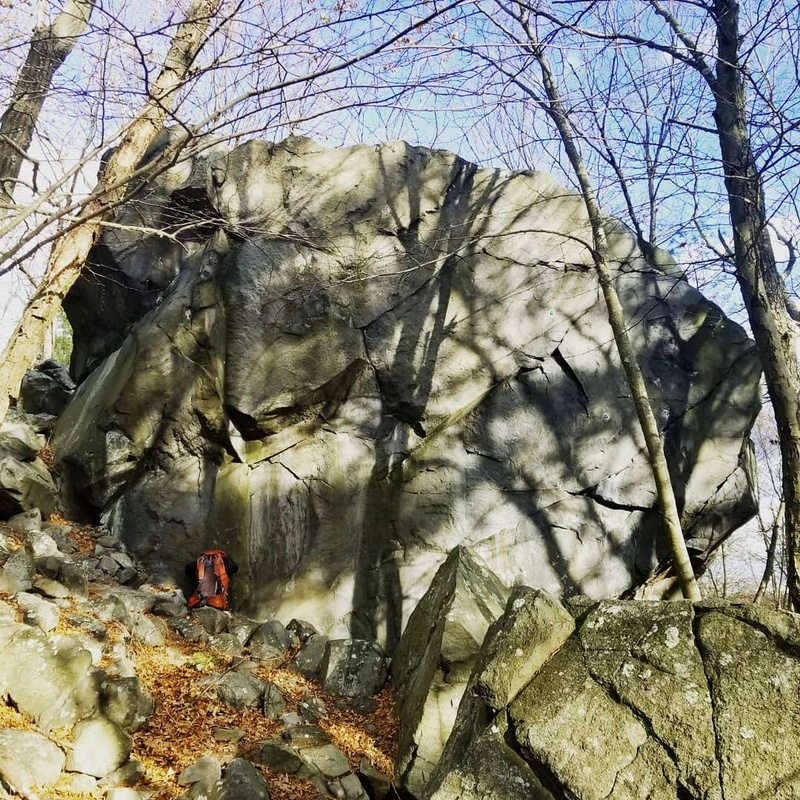 Climbers will find a variety of routes that are a bit different from what you’ll usually find around New England – the rock’s texture is grainy unlike most of the others in the area – making Crow Hill a unique destination. Western Massachusetts is an outdoor lover’s dream. After all, some of the best hiking and swimming holes in the state can be found there. So it likely won’t surprise you to discover that the region is home to some killer rock climbing spots. 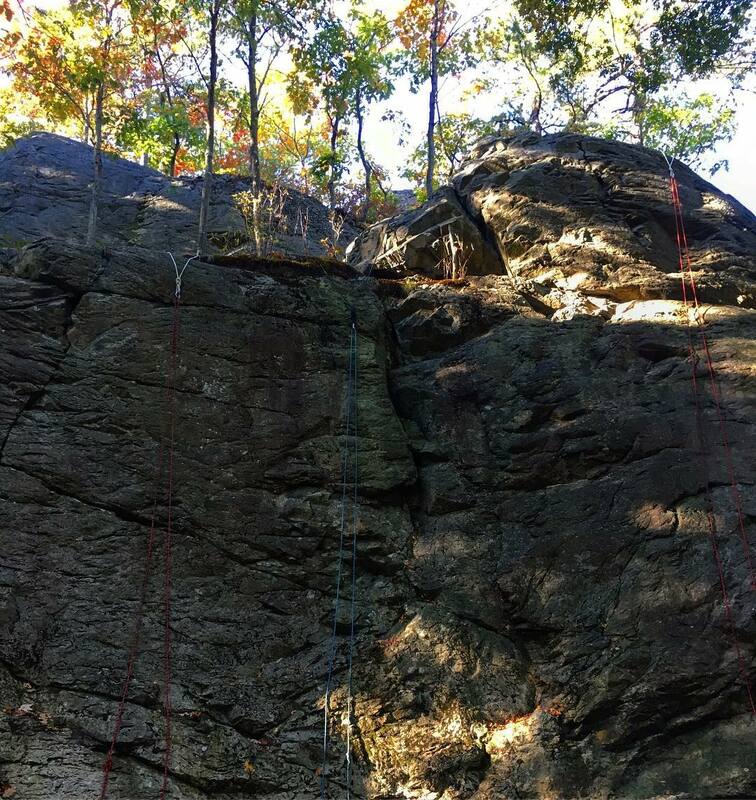 Check out Mormon Hollow for moderate-to-difficult climbs that can be top-roped off trees or bolted anchors. You’ll have your work cut out for you tackling these challenging routes. While Massachusetts offers some decent rock climbing spots, the true home of the sport in New England is in our neighbor to the north. 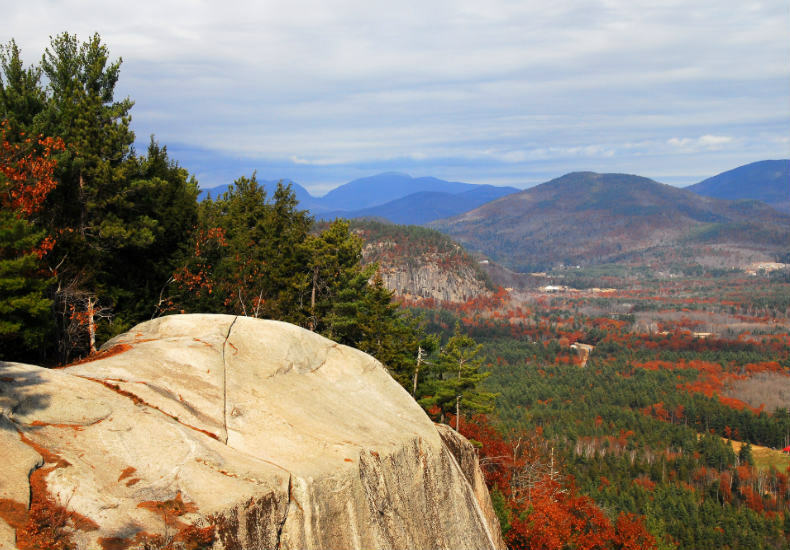 New Hampshire is the Northeast’s climbing heaven and you’ll find some of the very best crags there. One that can’t be missed is Cathedral Ledge, which has challenges for seasoned climbers and newbies alike. And if you’re not quite ready to go it alone, check out Cathedral Mountain Guides. These experts can help you do everything from tackling your first climb to making your dream of reaching that summit come true.